Looking for anyone who may have connections to my family history. If anyone can help with photos or stories Id appreciate it. 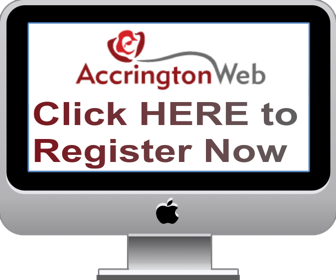 Alice Wilson Born 1878 , died 1959 Accrington . Then there is my mother Valerie Hill born 1944 Accrington and her brother and sisters Marlene , Mary , Margaret , Lavinia and Jack . I am going to post this in History of Accrington as well and hope for some contact made from there as well , Thanks for reading ! An Arthur Hill lived on High Street , Oswaldtwistle , and worked at Howard and Bullough's . The name Rowland Hill rings a bell . If I am right he was a nephew of the Arthur Hill I mentioned and could have been the son of the Rowland Hill on your list . It sounds like my family. Arthur and Rowland were brothers and their Dad was Rowland Hill. You mentioned Howard & Bulloughs , what is this ? I am doing all my research from Australia so I am not knowledgeable about Accrington etc. Please don't post the same thing in more that one thread. It is very confusing when people answer both. Your other thread has been removed. You mentioned Howard & Bulloughs , what is this ? It was at one time the area's largest employer. There was also a lady , I would say of Arthur's generation , referred to as Maggie Hill but sometimes as Maggie Sanderson . She was related to the Rowland Hill I mentioned . He wouldn't be the brother of Arthur , he was too young . It seems like there were three generations of Rowland Hills . The lady called Maggie lived on or next to Wordsworth Road , Fern Gore , Accy . I know a Biggin Hill. John Alexander Pte. 29121. 2nd West Yorkshire Regt. No family information. Buried in St Sever Cemetery , Rouen. Google earth would show the cemetery. There are no surviving military records for John, nor can I find a medal card for him. He is not shown in Soldiers Died in the Great war. The only to find out where he died, is to contact the West Yorks Regimental Museum. None of the other men you mention, of military age, living in Greater Accrington, are in my files. A couple of those listed passed away in Accrington, others moved to Bolton. My great grandfather was Rowland Hill married to Alice Wilson his son Harold was my grandfather and Harold's daughter Eunice was my mother. I have lots of info and photos of the Hill family.